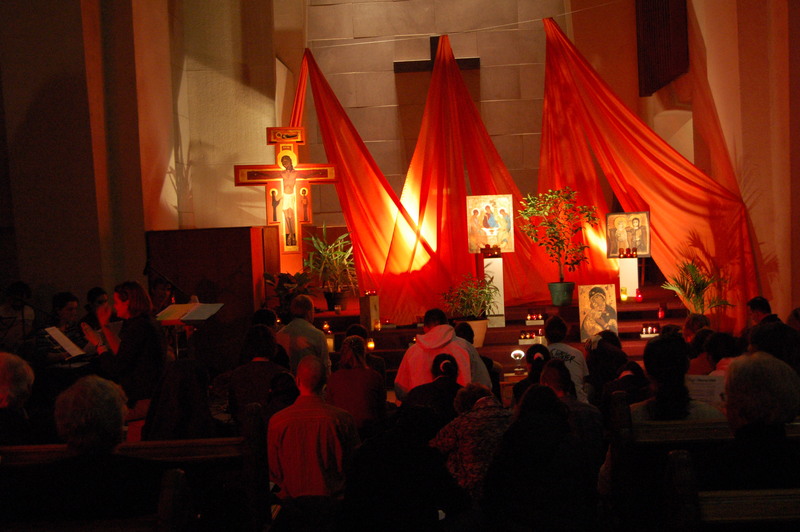 The monthly Prayer of Taizé is the occasion to engage in simple prayer featuring song, silence and the Word of God. Saturday from 19 p.m. to 20 p.m. The oecumenical community of Taizé is named after a village in Burgundy, France. This community is made up of about a hundred Brothers of Catholic and various Protestant origins, from nearly thirty countries. By its very existence, it is a “parable of community” : a concrete sign of reconciliation between divided Christians and between separate peoples. Every year, the Taizé Community welcomes tens of thousands of young people from the five continents of the world to spend a week in common prayer and exchanges. During Prayer of Taizé, singing is punctuated with meditative practices. A simple phrase, a reflection of an essential Christian truth, is sung in several languages. Each time the phrase is repeated, the soul plunges deeper and deeper into the Christian mystery. During the prayer, there are moments of silence, a time for listening to the Word and a time for prayer intentions.